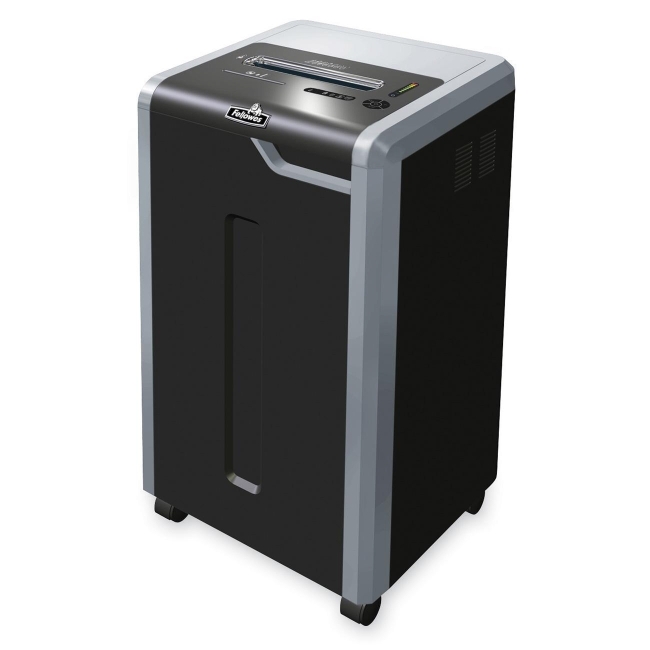 C-325i Strip-Cut Commercial Shredder offers a 100 percent Jam Proof System that electronically measures paper thickness to eliminate paper jams and power through tough jobs. As you insert paper, the shredder electronically measures paper thickness to prevent paper jams. SilentShred Operation shreds quietly for shared workspaces. SafeSense Technology stops the shredder immediately when hands are too close to the paper opening. Level 2 security shredder shreds 24 sheets of paper per pass into 7/32" strips and shreds disks, credit cards and paper clips. Shredder offers a 22-gallon waste basket and continuous duty motor for nonstop shredding. Shredder moves easily on four casters.